Chinese Alibaba Group, which recently conducted the largest IPO in history, has registered a representative office in Russia. Alibaba-owned online retailer AliExpress is the most popular online store in Russia with 15.6 million customers per month, which is several times higher than the number of buyers from Russia from eBay and Amazon. Alibaba.com (RU) LLC was registered on May 15th. Director of Business Development for AliExpress in Russia and the CIS, Mark Zavadsky, confirmed the registration of the company. He clarified that he was appointed general director of Alibaba.com (RU), while he remains the director of business development for AliExpress in Russia and the CIS. “Alibaba Group has founded a new company in Russia with the aim of further expanding our business and supporting partners, as well as to facilitate interaction with government bodies of Russia,” said Mr. Zavadsky. The IPO of the Chinese Internet giant Alibaba Group has become a record for high-tech companies. Placing a 13% stake on the New York Stock Exchange (NYSE) at $ 68 per share, Alibaba Group raised $ 21.76 billion. Immediately after the IPO, the company’s quotes jumped 36% to $ 92.7 per security. Alibaba Group was founded in 1999 and specializes in e-commerce, as well as the creation of platforms and technologies for e-commerce. The group includes the Taobao retail portal (over 6 million online merchants), the Tmall.com online platform (represents major brands and retailers), the Alipay payment system, AliExpress online retailer targeted at foreign buyers, Alibaba.com (a trading platform for organizations), etc. According to the company, the number of active buyers using the services of the Alibaba Group, according to the results of the fiscal year ended March 31, 2015, amounted to 350 million people. Alibaba Group’s revenues for this period amounted to $ 12.2 billion, net profit – $ 3.9 billion. However, only 9% of the group’s revenue comes from international sales. In the fall of 2014, Alibaba Group held the largest IPO in history, the company raised a total of almost $ 25 billion. The capitalization of Alibaba Group was $ 222.9 billion as of June 1. Among the shareholders of Alibaba Group are entrepreneur Alisher Usmanov. In November, he told CNBC that the return on his investment in Alibaba exceeded 500%. The size of its share and the amount of funds invested in Alibaba are unknown, but he did not sell the shares during the IPO. On May 7, late in the evening, quotes of the largest Chinese online store Alibaba jumped in price by 7.5% after the company reported a sharp increase in quarterly revenue and the appointment of a new CEO. Investors are optimistic about the reports that Daniel Zhang will become the new head of the company, who in his previous positions gave the company’s operations a new impetus and markedly increased the company’s awareness outside of China. In Russia, the most popular among the services of Alibaba Group is the online store AliExpress. 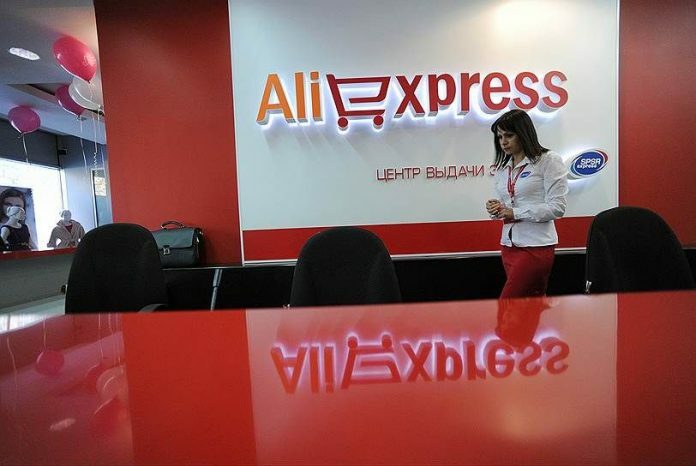 At the end of 2014, AliExpress was Russia’s largest international online store, according to data from the Association of E-commerce Companies. The average monthly number of Russian online shoppers in the store in the second half of 2014 was 15.6 million, while eBay had 3.7 million online shoppers and 1.4 million in the American online retailer Amazon. Russia ranks second At AliExpress’s total audience, providing 9.9% of its traffic, show SimilarWeb data. Outside China, Alibaba Group, in fact, has only two large-scale projects – AliExpress and Alibaba.com, notes Boris Ovchinnikov, co-founder of Data Insight. “For AliExpress, Russia has long been one of the key markets (along with the US and Brazil), but the popularity of Alibaba’s b2b platform in Russia is not yet very high, including due to the complexity of cross-border procurement and sales for small companies. It is logical to assume that the registration of the group’s representative office in Russia is including a step to promote Alibaba.com to the Russian b2b audience (both for wholesale buyers and manufacturers and sellers), ”says Mr. Ovchinnikov. According to the estimates of Mikhail Burmistrov, Director General of the Infoline-Analytics Agency, at the end of 2014, the turnover of independent sellers through Alibaba’s marketplaces in Russia amounted to 110 billion rubles, and Alibaba’s revenue in Russia was 5.5 billion rubles. He notes that due to the emergence of a representative office, we can expect an increase in the efficiency of existing Alibaba services in Russia and more effective marketing decisions of companies, and its revenue growth in Russia by the end of 2015 could be 30%. Alibaba Group, whose online store is ahead of the number of buyers in Russia competitors from eBay and Amazon, has registered its office in the country. Thus, he is going to expand his business in Russia. Chinese Alibaba Group has registered Alibaba.com LLC in Russia. Mark Zavadsky was appointed as its head, retaining the position of director of business development for AliExpress (actually an online store) in Russia and the CIS countries. “Alibaba Group has founded a new company in Russia with the aim of further expanding our business and supporting partners, as well as to facilitate interaction with government agencies in Russia,” Zavadsky explained the decision of his leadership. In Russia, the most popular among the services of Alibaba Group is the online store AliExpress. At the end of 2014, AliExpress was Russia’s largest international online store, according to data from the Association of E-commerce Companies. The average monthly number of its Russian online shoppers in the second half of 2014 was 15.6 million people, while eBay had only 3.7 million buyers, and the American online retailer Amazon had 1.4 million. Russia ranks second Place in the general audience of AliExpress, providing 9.9% of its traffic, according to SimilarWeb. In September 2014, Alibaba held a record IPO in New York for $ 25 billion (placement price was $ 68 per share). In November, Alibaba quotes peaked at $ 120, capitalization exceeded $ 250 billion. Among the shareholders of Alibaba, there are DST funds managed by Yuri Milner (DST together with Temasek, Yunfeng Capital and Silver Lake funds invested in Alibaba in 2011 based on the company’s valuation of $ 32 billion). The share of DST funds in Alibaba’s capital has not been disclosed; they did not sell shares during the September placement.